In Antelope with black trim. 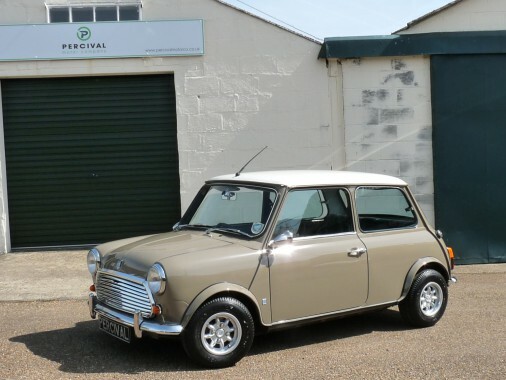 Registered in June '71, this very nicely restored Austin Mk 111 Cooper S has a very special 1460cc MED engine fitted. It looks lovely in its period colours and with Minilite alloy wheels fitted. The bodywork is in superb condition having had a new bodyshell fitted. The interior is in excellent order with no rips or tears, and has a rev counter fitted to the steering cowling along with a Motalita steering wheel. A 130mph speedo is still fitted along with twin petrol tanks and Hydrolastic suspension. The engine is hilarious and a recent dyno sheet shows about 120 bhp which is plenty. The Cooper S really does fly and drives very well. The second owner purchased the car in the early seventies with less than ten thousand miles on the clock, used it extensively and eventually parked it in a barn. He sold it for restoration but bought it back when it became obvious that it was not going to be done. A Mini specialist in Bristol was commissioned to restore the body and it was decided to replace the body shell as the original was too far gone. Antelope is the original colour and the roof has been painted in Snowberry.